Interested buyers do contact us for availability and price along with shipping terms. 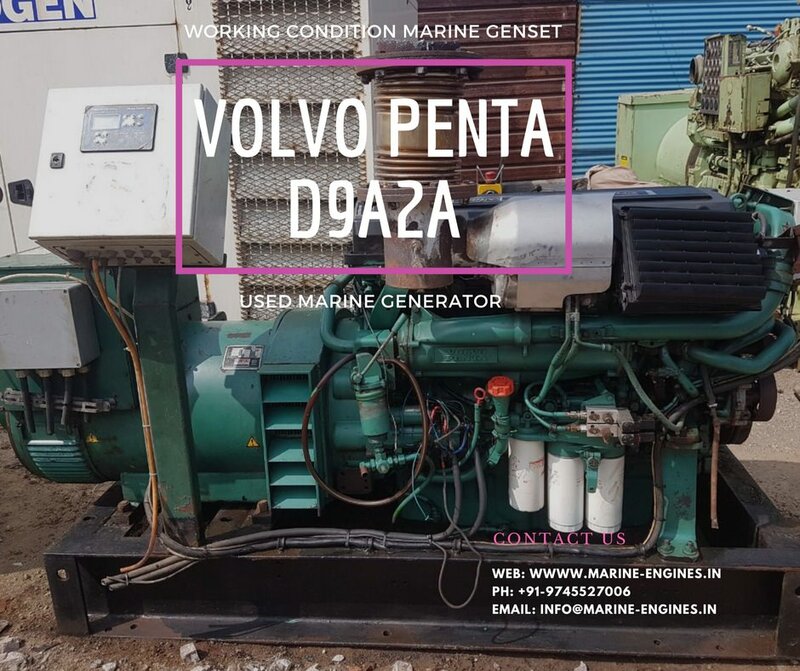 We also deal with all type Volvo Penta Marine and industrial generators and Auxiliary engines. Contact us with details of your requirements. 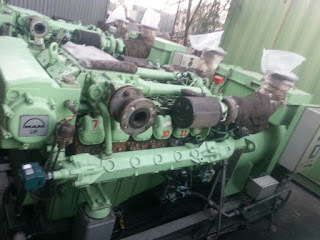 We supply original OE parts for Daihatsu marine generator and engines sourced from Ship recycling yards. Subjected to being unsold or availability in stock. 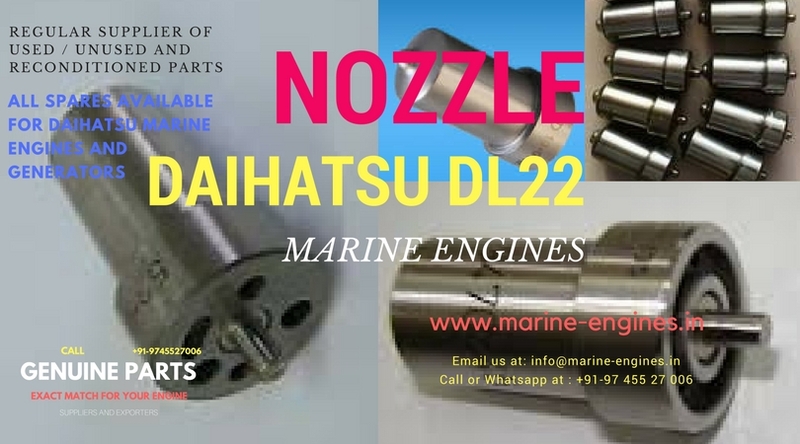 Daihatsu Marine Engine and Spare parts supplier for ship engine room. Watch complete video clip below of the available crankshaft in stock. Removed from ship and are running take out from ship. Presently 2 Units available in stock and ready for dispatch. Load / dyno test available for authentic buyers and they can also nominate third party for inspection and test. 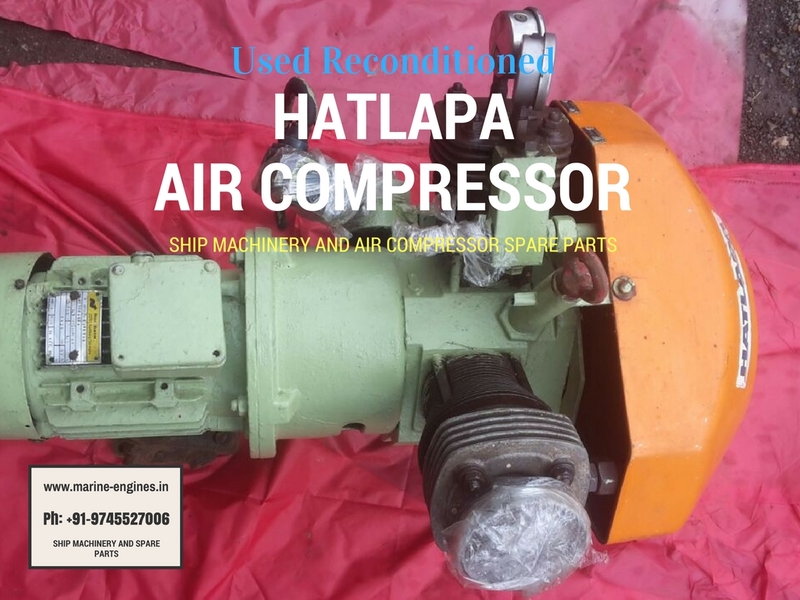 Available in stock, removed from ship and in excellent working condition air compress of Make Hatlapa L9 and Hatlapa L35 in stock. 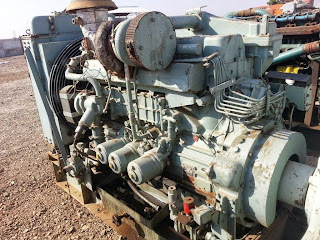 Both the compressor are working condition and don’t require any repair or maintenance. The air compressor can be directly installed and taken into use. We supply all makes of rebuilt, recondition tested air compressors. For other make range of air compressors available do contact us or further search this site. Interested buyers do contact us for more details on price and availability of HATLAPA air compressors and spare parts . 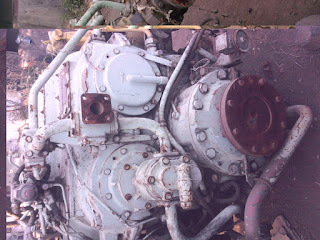 Spare Parts available for MAN B&W Marine Engine and Generator. We supply used / unused / recondition spare parts for all types ship machinery. Contact us with details of your requirement. We supply parts for above mention engines on very competitive price. 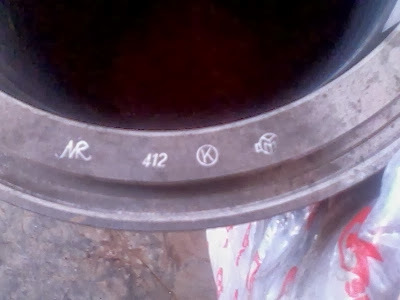 Spare Parts in stock and for sale. Condition: Unused and some are with original packing. Almost all major spare parts for Wartsila 6R and 8R available in stock and these spare parts were sourced directly from ship recycling yards in India. 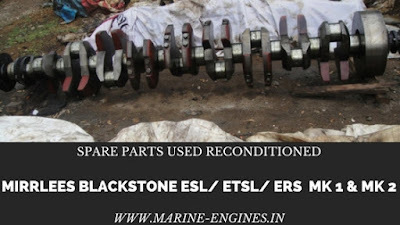 The parts were recovered from engine room stock and are reliable and genuine OEM parts. Interested customers kindly do get in touch with us with your requirement details. The spare parts are subjected to being unsold. 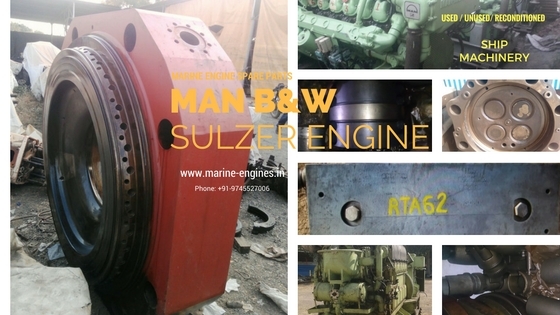 We also supply used reconditioned spare parts for all types / model Wartsila Marine Engines, Main Engines and Auxiliary Engines. 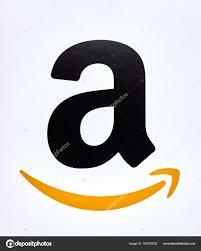 Kindly subscribe to our web posts to get regular updates about new arrivals in stock. Supplier of Used Reconditioned Cylinder Heads. 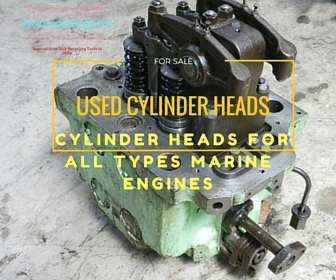 We source and supply used cylinder heads for all types marine auxiliary engines and marine main engines. 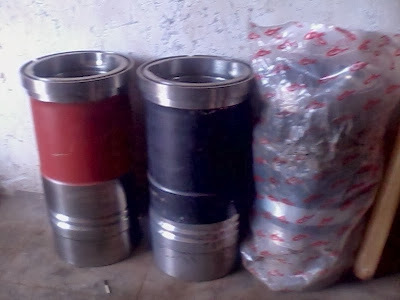 These cylinders heads are used and fully reconditioned by skilled marine engineers. For more details contact us with particulars of your requirement. 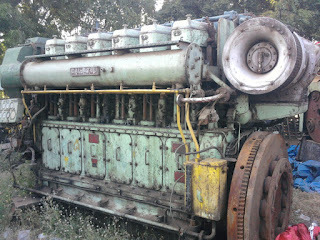 The Yanmar Liner was recovered from ship store which came for dismantling at ship recycling yard located in India. Presently 3 pieces are available in stock and subjected to unsold. Interested customers do contact us for price and if any other details required. Pictures of the actual Yanmar Liner is made available below. 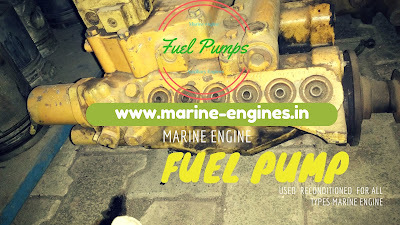 We also supply used and unused parts for all models of Yanmar Marine diesel Engines. These spare parts are sourced directly from ship recycling yards in India. 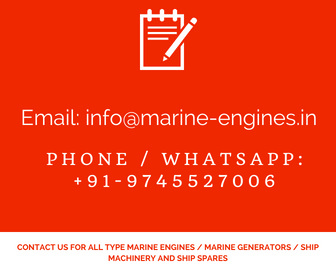 For any requirement of Yanmar Marine Diesel Engine Spare Parts, do get in touch with us. Valve Spindle available for Marine Diesel Engines. 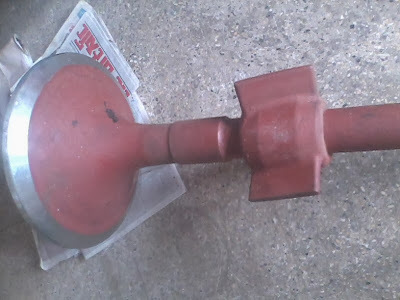 We also supply other parts for the above mention engines, subjected to availability in stock. All offers submitted are subjected to unsold. Contact us for reconfirmation of stock availability and prices.